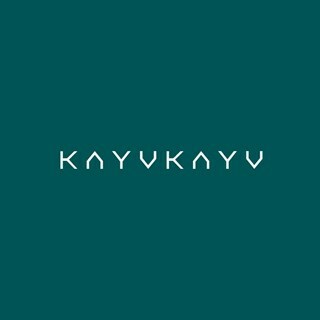 Kayu Kayu is the brainchild of Ruben Kosenda, who is also the founder of Jakarta’s popular boutique hotel, Kosenda. 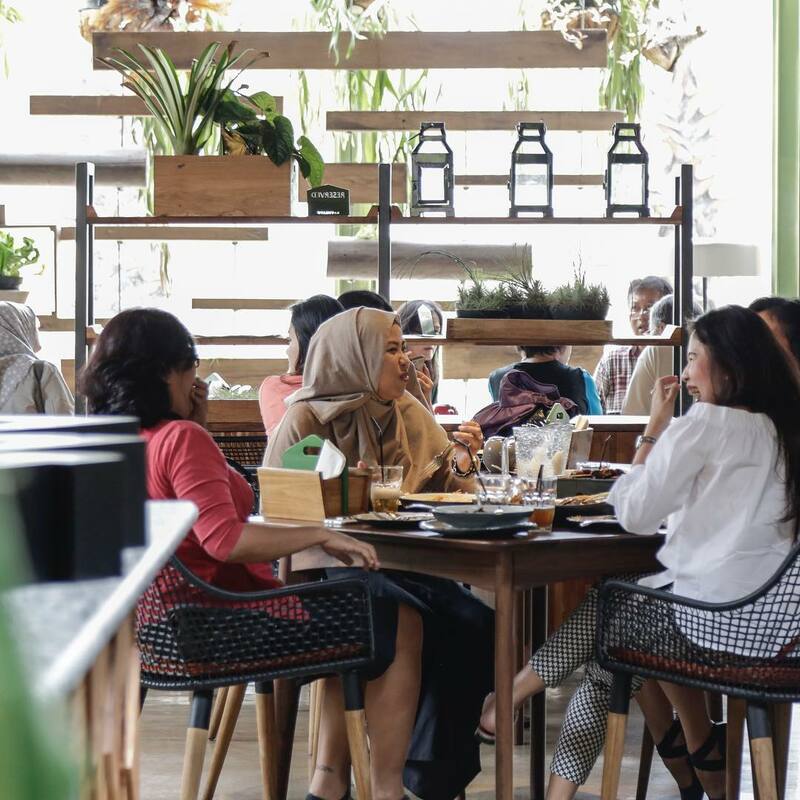 Sitting within the Kosenda Alam Sutera Complex, the establishment is a sprawling restaurant with an aim to bring nature closer to the dwellers of concrete jungle. Indoor plants and flowers dot the entire establishment. A single tree reaches towards the ceiling in the middle of the restaurant and calmative sound of trickling water serves as soundtrack to one’s visit in Kayu Kayu. More than just the inclusion of nature within the establishment, all furniture, murals and decorations are also upcycled from unused woods, steels and various cast-off materials. But they are not only limited to the interior. The façade of Kayu Kayu boasts impressive stack of woods as if giant birds has arranged them together. Even with the amount of attention given to the creation of the place itself, that doesn’t mean the food is neglected. Over here, the menu features variety of familiar Indonesian dishes that are done with aplomb. Choices like Bandeng Sambal Matah, Sate Maranggi and Nasi Goreng NKRI (a hearty portion of fried rice served with three kinds of satays and fried chicken) easily appeals to everyone. If you’re not in a hurry for a meal, then start with their satisfying Rujak Buah where it comes with feisty spicy palm sugar sauce. 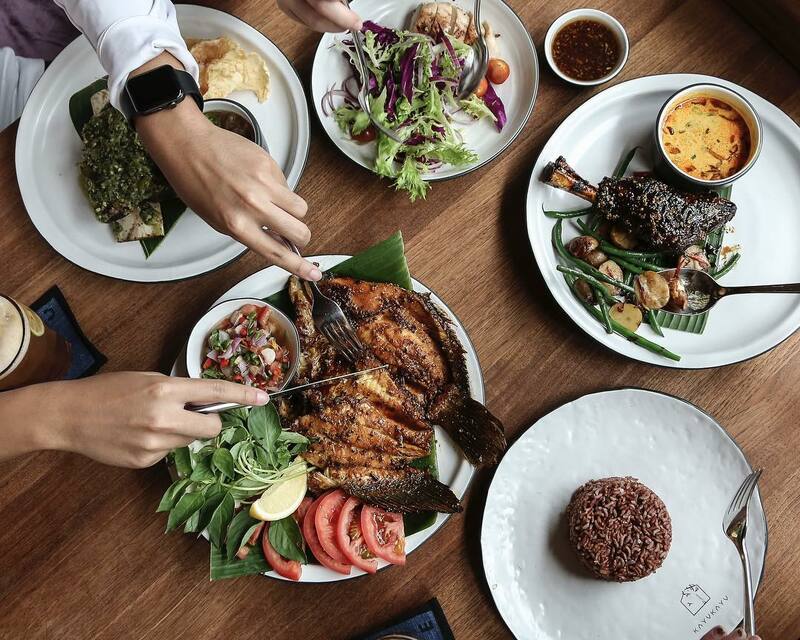 It pays to plan your visit to Kayu Kayu in advance. 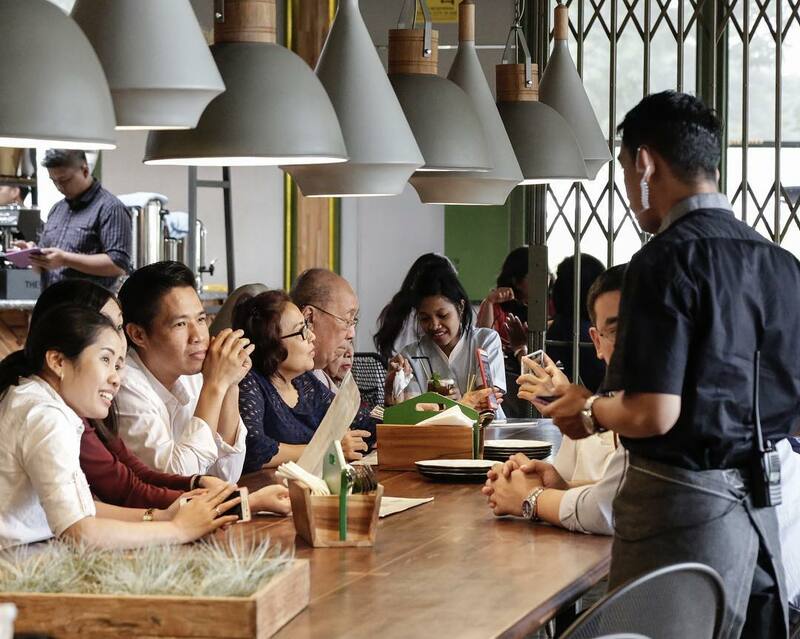 Depending on the day and time, Kayu Kayu draws a mixed bag of diners. On weekday mornings, white-collar professionals engage in quick meeting over coffee. During lunch, groups of mothers enjoy get-together session over hearty meals and lively chatters. Come weekend, expect to share the space with families and their boisterous kids. Such versatility is also the reason why Kayu Kayu is often booked for private events and parties. Over at the second floor, the space is large enough to facilitate an intimate wedding. Ultimately, the ones to gain from the presence of Kayu Kayu are definitely the nearby residents. Not only there’s no need for them to travel far to Jakarta or other neighbourhood for a quality day out anymore, now they can count Kayu Kayu as one of the pride of Alam Sutera. The waitress is very slow to response . Only the first person that serve us that can response fast. It was our first experience and we come here with 2 kiddos and our parents. It's a great place to dine in. We enjoy the atmosphere very much. The food and drinks tastes good too. Kiddos and our parents love it and we definetely will recommend this place to friends. Thank you for giving us such a pleasing dining experience. Highly recommended!! Keep the great work! !